My husband and I got married in July of 2008. We had been together for 14 years already, so we knew that we wanted to more or less start our family right away. We got pregnant at the end of November 2008, which thrilled us both. I went into pregnancy with a pre-existing diagnosis of chronic hypertension. It had been well controlled by medication for several years, and I had gone through the process of switching over to something pregnancy safe before the wedding. It’s funny the reactions that that pre-existing condition elicits from health care providers, though. From day one of my pregnancy, everyone expected that I would be pre-eclamptic by the end of the pregnancy…that expectation was always there. With the exception of the first trimester screen, the first 7 months of the pregnancy were uneventful. The first trimester screen came back with an elevated risk (1:47) for Down Syndrome. Right away, the OB wanted to do an amniocentesis. After giving it some thought, we declined. We knew that a diagnosis of Down Syndrome was not going to be cause for us to terminate the pregnancy, and we figured that if there were major problems present, they would be identified without an amnio, at which point we could decide on appropriate medical testing, monitoring and/or intervention. There were never any soft or hard markers for Down Syndrome identified during the remainder of our pregnancy. During my 32 week appointment my blood pressure was a little bit elevated. The mid-wife sent me over to L&D for a few hours of monitoring and an ultrasound. Everything looked good with the ultrasound – Gracie was measuring in the 30th percentile for her gestational age. I left with instructions to increase my BP medication and follow-up with one of the docs in the office first thing Monday morning. The follow-up was uneventful – continue at the increased med dosage and start non-stress-tests and biophysical profiles. At 32.5 weeks I was seen in my primary care office (but not by my regular doctor) for some fluid buildup in my ear that happened to start the same day I went to L&D. The doc said I had a middle ear infection and gave me Amoxil. Two days later I started with a GI bug and had an on/off fever and pretty bad diarrhea for 3 days. At 33 weeks, after speaking to my PCP, I went to the E.R. on Saturday morning for some I.V. fluids (to combat the diarrhea) and also get my ear re-checked, since my hearing on that side had become substantially impaired and the pressure/pain was getting worse. Long story short, it was an entertaining trip to the E.R. Everyone except my PCP wanted to make the diarrhea about the Amoxil, but I have never had that reaction to Amoxil. In the end, I got confirmation that I did not have an infection, the antibiotic was D/C, and I got some I.V. fluid. After the GI bug passed, I had a good couple of days. At 33.5 weeks I woke up in the middle of the night with terrible upper belly and back pain. It was some of the worst pain I had ever experienced. Another long story short, after two nights of pain and a subsequent work day of pain, I called the OB office. It turns out that I was having an acute gall bladder attack. I felt pretty dumb for not recognizing that…but because everyone had wanted to make every ailment about pre-eclampsia, I had done the same thing in my head and convinced myself that it was my liver. Once again we headed to L&D. Spent a few hours there, had an ultrasound of the gall bladder (sludge and gravel found), discussed things with the midwife and opted for an IM injection of Morphine so I could go home. Felt FABULOUS over the next two days – better than I had felt in a few weeks. 34 weeks was our first NST and BPP ultrasound. The NST turned out to be a rather drawn-out adventure. Because Miss Gracie was such a sound daytime sleeper, she didn’t do much during the NST, and as a result, she did not demonstrate the elevations in heart rate that they wanted to see. Everything looked GREAT in the ultrasound – scoring an 8/8 for that part of the BPP. Gracie’s size, in terms of growth percentile, was not measured during this BPP. I noticed when they weighed me at the beginning of the appointment that I had lost a few pounds since my 32 week appointment. The next ultrasound would be in two weeks unless there were problems. We had another NST at 34.5 weeks. It took Gracie about 90 minutes to decide to cooperate and move around enough show the desired heart rate elevations. Aside from her stubbornness, all was well. 35 weeks brought another NST; again, non-reactive results, so the midwife really wanted another ultrasound. All looked well with the ultrasound – scored 8/8 again on the ultrasound portion of the BPP. Talked to the midwife (not the one we normally saw) about my continued weight loss – I had lost 7 pounds since our 32 week appointment. Gracie’s growth estimates had also gone from the 30th percentile to the 19th percentile in that same period of time. The midwife said that some of the weight loss could be a result of getting rid of some of the excess fluid that I had been carrying in my arms and legs for a few weeks. She went over my fundal height measurements, which were all right on, and reminded us that some people grow 6 pound babies and some grow 10 pound babies. She reminded us that the measurements on the US were just estimates, +/- about a pound, and that it was certainly possible that she was larger than the 19th percentile. I suggested that it was also possible that she was smaller than the 19th percentile, and she said we would see how things measured up in the ultrasound scheduled for our 36 week appointment, but there was no concern about growth restriction until we got near the 10th percentile. 35.5 weeks brought another non-reactive NST. We saw a doc that day that we had not met previously, who said that although the NST itself wasn’t concerning, it was considered to be non-reactive and it was desirable to follow-up with an ultrasound. The hubby and I both had time constraints that afternoon because of work, and neither of us felt that doing an ultrasound was necessary since we had just had one a few days before and we were scheduled for another in 3 days – and the data collected in each ultrasound is considered to be valid and reliable for 7 days. We declined the ultrasound and headed back to work. At 36 weeks we were scheduled for another ultrasound and NST. I woke up that morning with the immediate realization that I had slept all night (with one very brief exception) and almost felt refreshed. This really hadn’t happened in the preceding 12 weeks. I immediately panicked a tiny bit, but then thought that perhaps she was starting to get her days and nights straightened out. I got a shower and went to the office to see my only patient of the day at 9:00. I had planned to use the remainder of the morning for paperwork and then head off to our 12:15 appointment for ultrasound, NST and midwife follow-up. By 10:00 I still had felt no movement, and I was also unable to find Gracie’s heartbeat with my stethoscope. At that point I headed home with the stethoscope for my hubby to listen. He listened for about 20 minutes, and as each minute passed, the fear of every expectant parent started to become my reality. We went a little early for our ultrasound appointment and I told the ultrasound tech what was going on – his response was pretty upbeat, and to the effect of ‘well, let’s see what we find.’ In complete silence he put the ultrasound transducer on my belly and went right to Gracie’s rib cage, and I had the answer that I knew was coming. There was no flicker within the rib cage – no heartbeat. Still in complete silence, he took a few still pictures, asked me again when I had last felt her move. Then he excused himself and got a doctor, who came in to officially tell us that Gracie’s heart was no longer beating. The doc (whom we had met 3 days earlier) gave us the option of inducing labor that afternoon or returning the next day for induction. Labor was induced around 3:00 that afternoon and Gracie was born at 2:29 on the morning of August 1, 2009. She weighed 4 lb, 3 oz and was 17” long. She was buried next to my grandmother, after whom she was named, on August 5, 2009. We have just completed the first year without her. So much has transpired and come to light in that year, yet time has simultaneously seemed to stand still. I now believe that the brief exception that I had to sleeping through the night before our last scheduled US and NST was directly connected to Gracie’s death. I sat upright out of a sound sleep around 0130 that night with gall bladder pain. Much to my surprise, the pain lasted literally only a minute or two and then I went right back to sleep. I am now certain that it was not gall bladder pain, but the moment Gracie died. 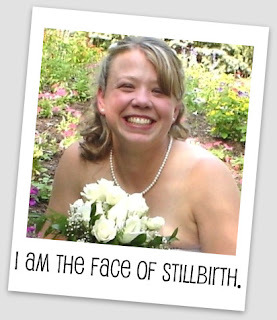 In the months following her death we learned that, because of dropped communication between departments in the hospital, the chromosomal analysis was never done on my placenta; as a result, we will never know with 100% certainty whether or not she had Down Syndrome, but the medical consensus at this point is that she very likely did have Down Syndrome. We have been told that my placenta was about half the size it should have been, which can be common with chromosomal abnormalities, and there was also a higher than normal amount of infarct in the placental tissue. The small placenta caused IUGR, which was virtually undetected (and undetectable using the most common indicators) until we questioned the backslide in her growth at 35 weeks. Her death came at 36 weeks, 1 day…at which she was in the 7th percentile for overall growth…well below the 19th percentile where she had been estimated one week earlier. I sometimes amazes me that, even with all the extra monitoring because of my pre-existing hypertension, our pregnancy ended without bringing our first born home.